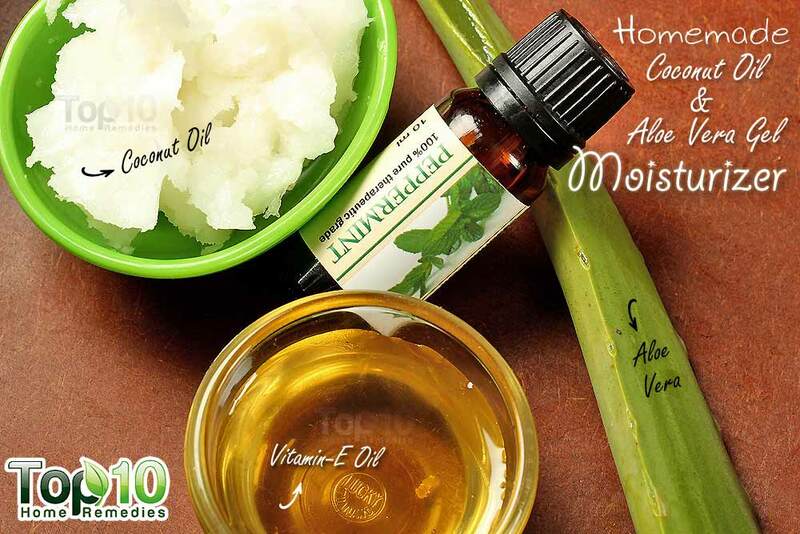 Why buy expensive, chemical-laden moisturizers when you can make your own homemade skin moisturizer using coconut oil and aloe vera gel? 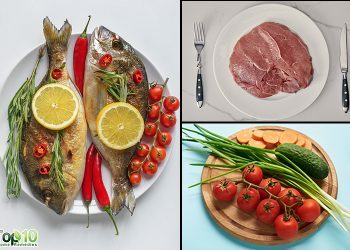 Both ingredients are excellent for your skin. 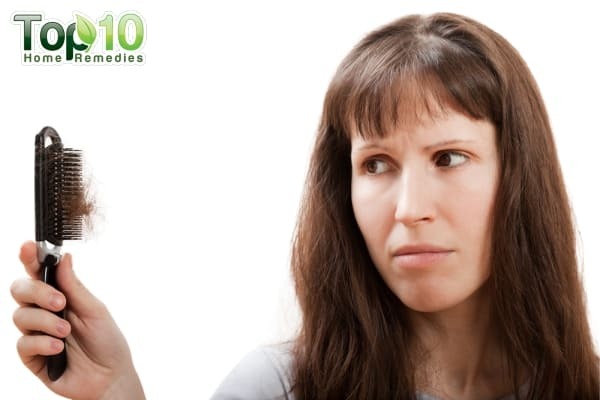 They are also helpful for problems like eczema and psoriasis. Coconut oil is super-moisturizing. It penetrates deep into the skin to keep it soft and supple. 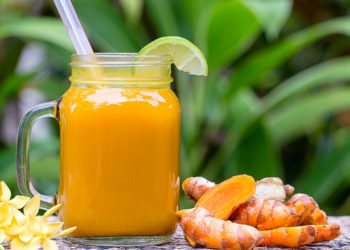 Packed with antioxidants, it also helps fight free radicals and slows skin aging. Plus, it has antifungal and antibacterial properties that help fight microbial infections. 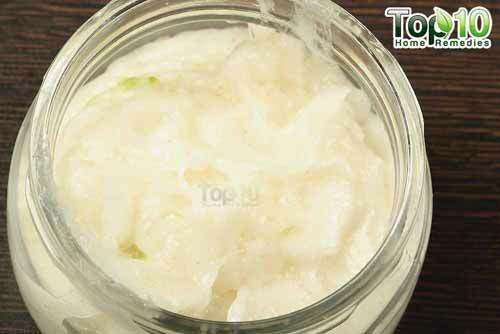 Aloe vera gel is also soothing for your skin. It keeps your skin firm and hydrated. 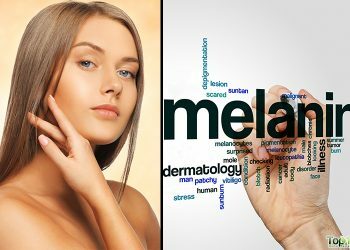 Being rich in vitamins and minerals, particularly the antioxidant vitamin E, it rejuvenates your skin and induces cell regeneration. 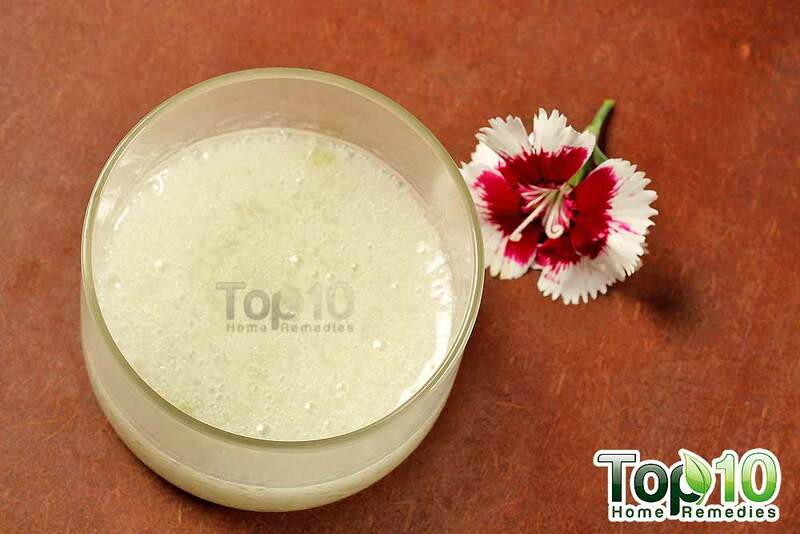 It is also good for healing sunburned skin and fading skin spots. 1. 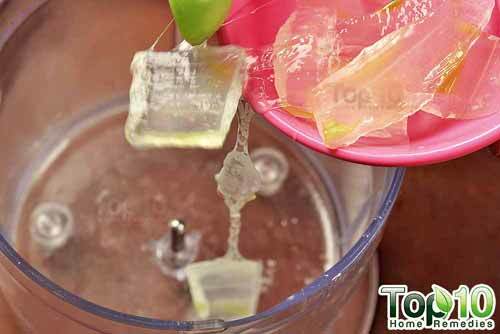 Scoop out the gel from a small aloe vera leaf and blend it. 2. 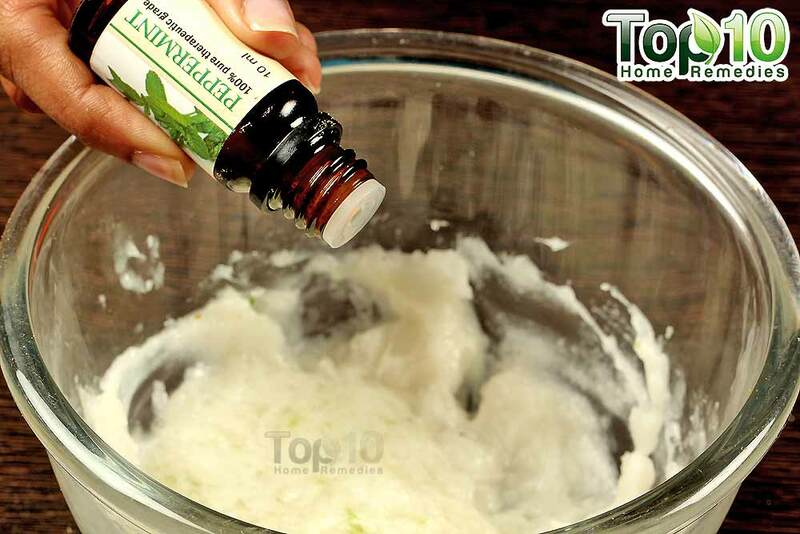 Put ½ cup of extra-virgin coconut oil in a bowl. 3. 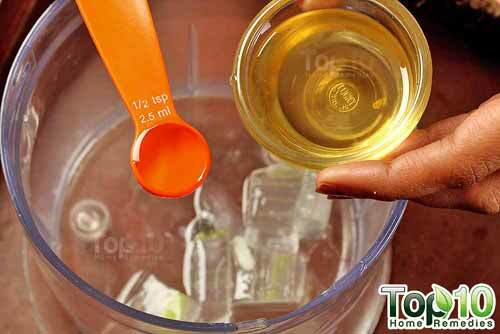 Add the blended aloe vera gel. 4. 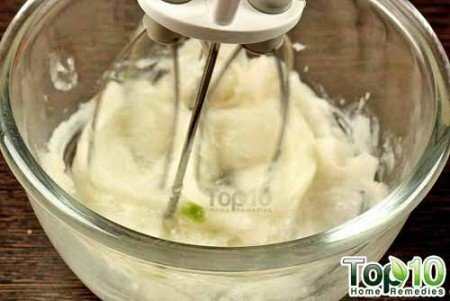 Whisk the mixture using an electric or hand whisker for 5 to 10 minutes until you get a fluffy, frosting-like consistency. 5. 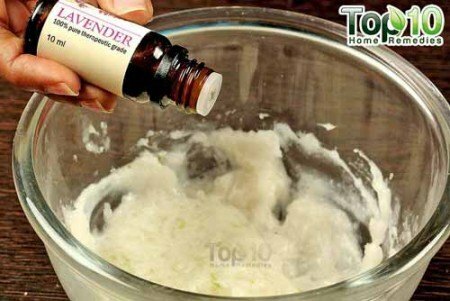 Optionally, add a few drops of essential oils like lavender and peppermint oils and whisk again. 1. 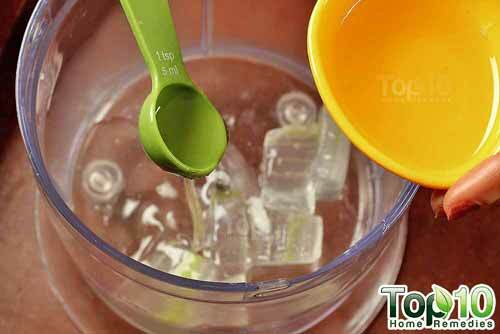 Put about 4 teaspoons of aloe vera gel into a blender. 2. 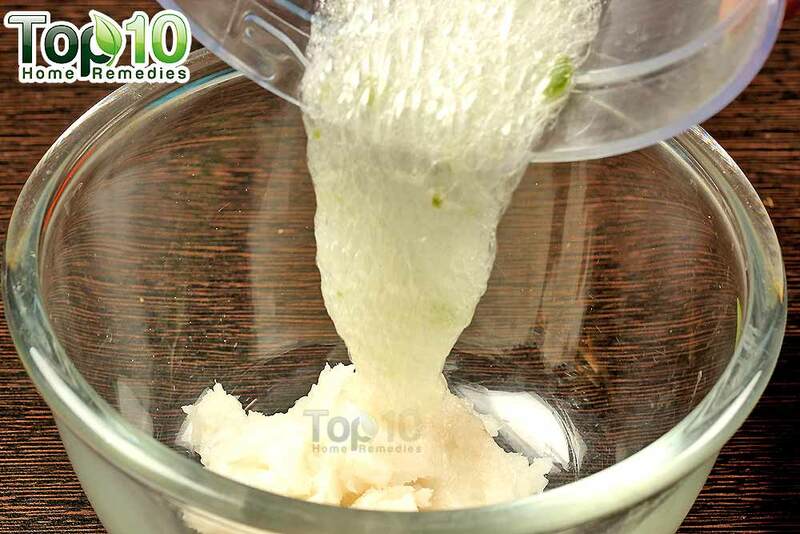 Melt 2 teaspoons of coconut oil in a microwave or double-boiler, then add it to the blender. 3. Add ½ teaspoon of vitamin E oil. 4. Blend the mixture for a couple of minutes. 5. 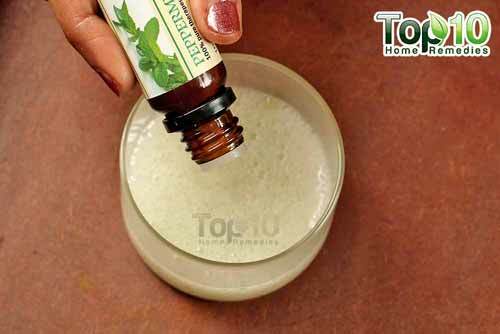 Optionally, stir in a few drops of peppermint essential oil or any other essential oil of your choice. 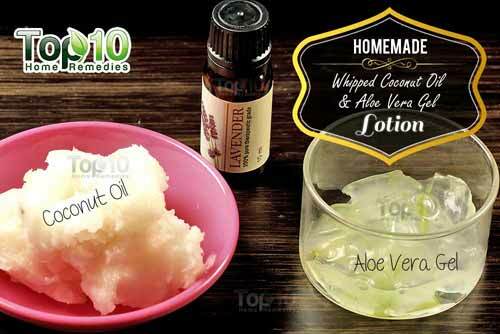 Just whip solid coconut oil with aloe vera gel to use it as a moisturizing lotion. Compared to plain coconut oil, this lotion will feel lighter on your skin. 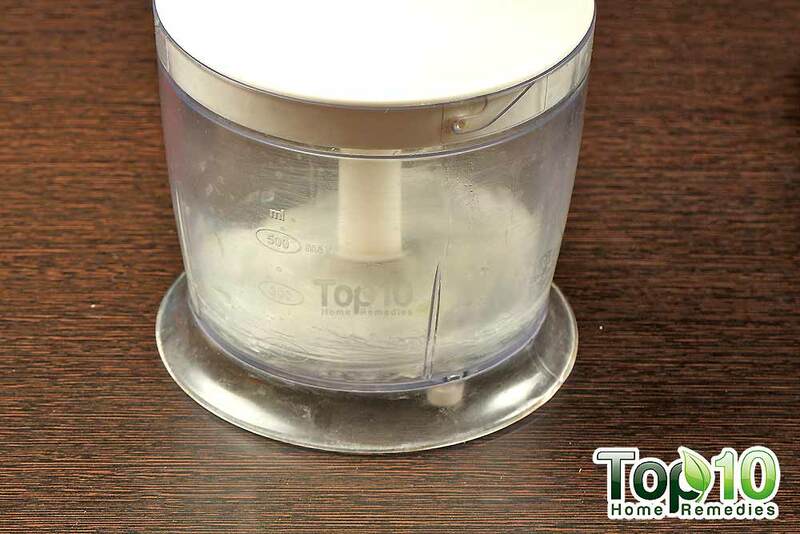 Transfer your whipped coconut oil lotion into the glass container and store it in the refrigerator. It will last for several weeks. Use it all over your body as you would use any other moisturizing lotion. To increase its effectiveness, apply it after bathing when your skin is somewhat moist to help lock in the moisture. It also works well as a good makeup remover. Like the whipped coconut oil moisturizer, you can store this recipe in the refrigerator for several weeks and use it in the same way. 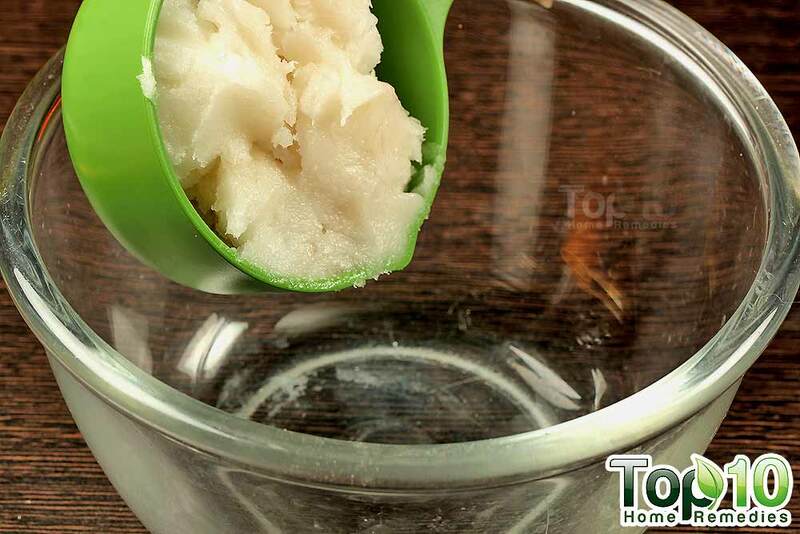 This homemade skin moisturizer also works well as a lip moisturizer. You can even use it as a homemade shaving lotion to help soften the hair and prevent razor burn. Just apply a thin layer of it on your skin and let it sit for 1 or 2 minutes before shaving. Make sure you rinse the aloe vera leaf thoroughly before extracting the gel. You can find the steps to extract the gel in this post. 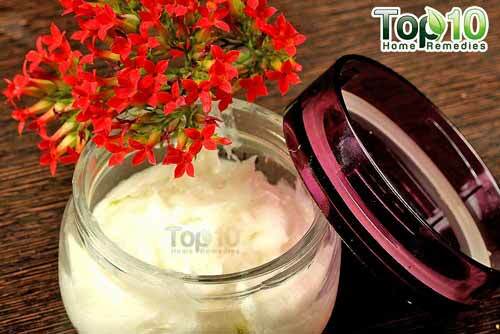 You can also add 1 tablespoon of olive oil in your whipped coconut oil lotion. While whisking the coconut oil in this recipe, make sure it is not too runny. I’m exited about trying this. It looks to be a great moisterizer. Thank you for all your DIY posts. Love you. It didn’t work out, the coconut oil separeted from the aloe vera, its too runny! I don’t think you used the right kind of coconut oil. It shouldn’t be liquid at all. 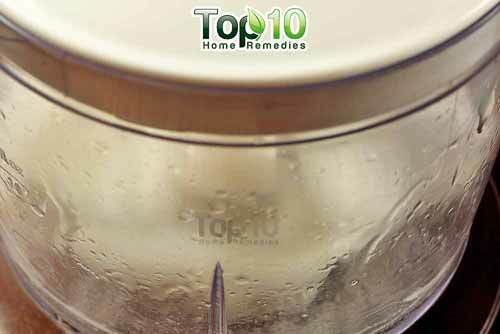 Did you use solid coconut oil? Mine came out watery. It felt great but after several days the smell was a little to heavy for my liking. How do i get this to a whipped consistency? Inuaed pure aloe from the leaf and vigin, cold pressed coconut oil. Also how long is this good for? That’s the best answer by far! Thanks for cornuibntitg. I made some over the weekend. It turn out great !!!! Thank you. I would also add a little bit of almond oil (which I find especially useful against dark circles), as well as beeswax or even honey (careful you use just a little bit else it will be sticky). I will use this mixture.thanx a lot.can u give me more home remedies for face pigmentation.I would be grateful for that. I made this with just the aloe and coconut oil. The original result smelled and felt wonderful. After a night in the refrigerator the entire jar set to a solid. It was useable again after I put it out on the counter for a while, but this is inconvenient for quick use. How do you keep the lotion soft enough to use right out of the fridge? 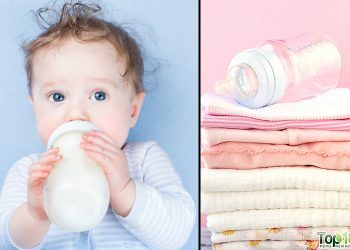 Could some added liquid vitamin E help or maybe more aloe gel? Love the lotion, would just like it to be a bit creamier. 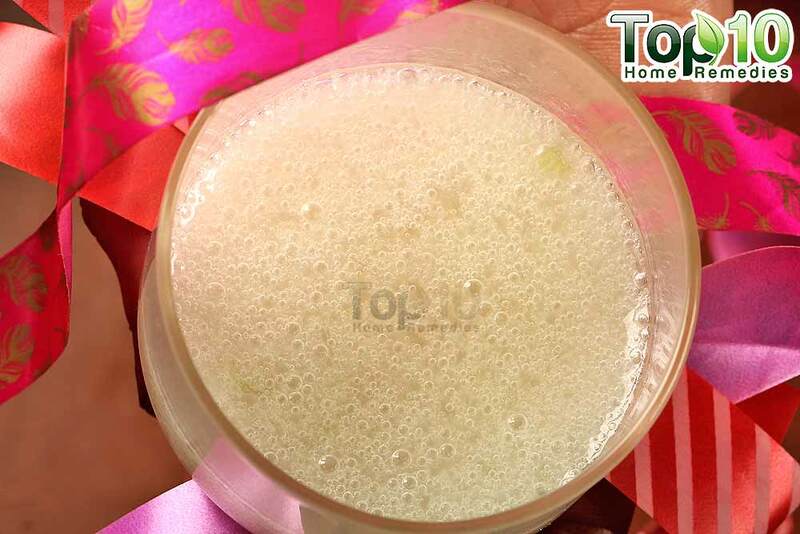 If using pure aloe vera gel from Health Food Store, how much should I use? Thanks. Yes,I always use aloe plant and it works just as good. Just make sure to use a hand blender as aloe is chunky and slimy.